Capturing life's milestones is my passion. Opening my studio in 2005, I've had the pleasure of photographing the same families every year, several beginning with their wedding, then their growing families. When I visit a client's home, and see the images I have captured for them hanging on the wall, it's an honor to realize I've captured a time in their lives they will treasure for generations to come. Operating as a full-service studio, a variety of archival heirloom products are available, including canvas prints, art prints, professional framing and leather bound wedding albums. Located in historic downtown Montgomery, Texas, just north of Houston. Photography on-location services are offered in all surrounding areas including, The Woodlands, Conroe, Magnolia, Tomball, Spring, Cypress, Kingwood, Willis, Katy, Houston and other Greater Houston areas. I love to travel, and often do for weddings, into the Austin and Dallas areas. WEDDING DAY - On the big day I like to start taking photos of the getting ready process and stay until the departure. I capture all the details from personal attire to table decor, the emotions on your face when you first see each other, family formals, first dances until the grand exit. Coverage can include myself and a second photographer. I've captured over 350 weddings so far, each one so personal and unique. I love weddings, and all the excitement or the day and the promises they hold. ENGAGEMENT PORTRAITS - I like to get to know you as a couple during the engagement shoot. This is a fun time that results in great candid and formal shots of you just being yourselves. BRIDAL PORTRAITS - Bridal sessions are when you can take the time have beautiful portraits done of yourself in THE dress. It’s also a nice trial run for hair, make-up and flowers. Having a beautiful photograph to show off at the reception adds that special personal touch to the wedding day. It's your SENIOR YEAR! Class of 2019! Let's capture it! Senior sessions are all about what you like to do, wear, hangout. Want to showcase your hard earned letter jacket, sports medals, uniforms? Bring in your favorite outfits from your torn jeans (that your mom loathes) to your formal wear. Fun on-location places and in-studio options are available to show a variety of styles that reflects who you are. Seniors get a guide on what to wear, what colors and little tips to make you look your best. Girls, professional makeup and hair is included with every senior session! Come back to the studio later in the school year to capture a winter look, or in the spring with your cap and gown. Girls, in the spring bring in your prom dress, and even your date or bff. Let's capture every detail, and make an amazing album with all your favorite photos, the perfect yearbook for you to reflect back on for years to come. FAMILY & CHILDREN PHOTOGRAPHY - Photographing families as they grow is so much fun. From beautiful baby bellies on expecting moms, first year milestones of baby, toddlers just being themselves, and the whole family together (even your puppies), is exciting to capture. Families come in all sizes. Whether it's just two of you, or extended families groups, keeping memories with photography is a precious gift for generations to come. 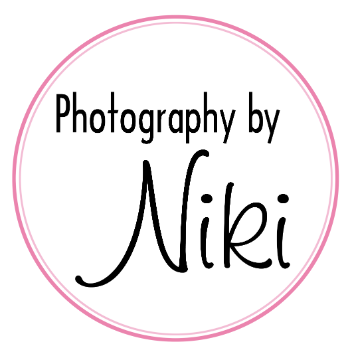 BUSINESS HEADSHOTS - Let your clients know who you are with a updated headshot. Headshot portraits can be on location in your office, or at my studio. Corporate headshots for a classic look, or something a little more modern and contemporary feel. CORPORATE BRANDING - Photography allows you to update your marketing and web presence with photography of your office, employees and products to showcase what you do best. Half day and full day rates are available, depending on the scope of your project. Full copyright use is available to corporations. SMALL BUSINESS - Whether your a one man crew, or just a couple of people, you deserve to look your best (hey, I'm a small business). Home offices to small town storefronts, showcase you and what you do. Branding and product photography is available to help you look good and show you too can run with the big dogs.